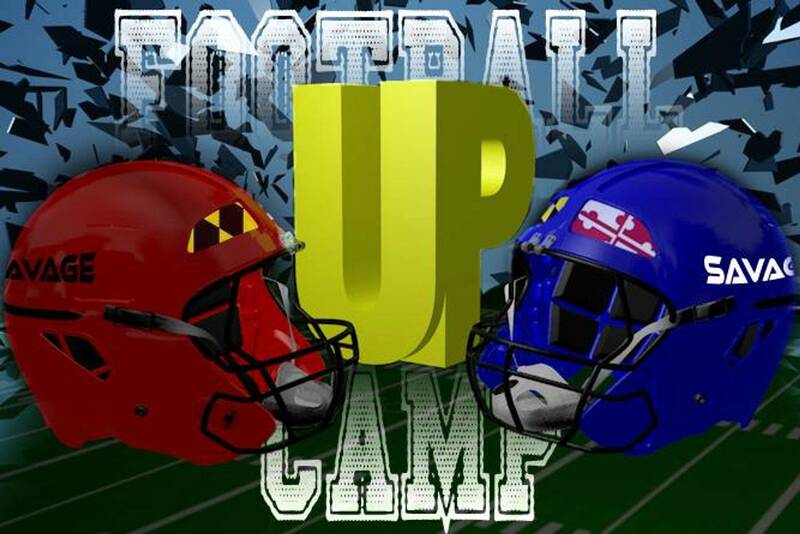 Founded 2010 in Baltimore, This Youth Summer Football Camp is designed to give each student athlete an opportunity to receive concentrated technique training. Practice hard and daily. If you want to be good and ready, you need to be above all your competition. Only a few people can make that position, and there can only be one starter. If you want it to be you, you have to be the best in your group. Exercise hard, but take breaks. Exercising too hard could hurt you and hurt your chances of making the team. Work hard, but know your limits. Join groups or organizations to get a feel for what a team is like. This will also give you hands on experience and a feel of a what a game situation is like. Listen carefully to what your coach says. Believe it or not, there is a lot of strategy involved in football. It's not just grunts throwing each other around. If by the time you start playing games you don't know how to run a "Fake 24 Double Reverse," football is not for you. Watch football games or re-runs. Observe how the players in your position line up and execute the plays. See what you need to do, but look for tricks you can use as well. Know what position you want to be. Each position requires a different amount of skill and strength. Below are some common things you will want to know about popular positions. Half Backs: Half Backs need to rely on a number of things. Speed, agility, carrying the ball, awareness, and the knowledge they are tackled frequently. Common activities such as running, practice dodging objects, and playing against friends will help build all these key strong points. Defenders: Defenders, especially lineman, need to be all muscles and very large. As a lineman, you will get pushed around a lot, and have to tackle people a lot as well. Getting muscular and large is easy. Kickers and Punters: Leg strength is about it. You will get pushed down sometimes, but not often. Doing leg exercises and practicing your kicking is all you need to do. Offensive Linemen: Lots of leg strength is needed. When you block someone, you not only are aggressive with your arms, but you need to be able to fire into the defensive lineman and drive your legs to move him back. You should be big and able to throw your weight around. Muscles are a plus. You also need quick and fast feet for blocking. UP CAMPS offers organizations to redeem a donation back if the organization sends 10 or more campers on a Full 4 week registration to the camp discounts included. Organizations can use this donation for a fundraising purposes to contribute to your teams organization needs. (Coaches) We also offer Coaches to come Volunteer their coaching skills or speak with the Kids for about a hour or two at the camp this summer, lunch is provided. Coaches Check with camp for coaching time slots to check-in. 40 Yard Dash Testing, Vertical jump, Broad jump, 3 Cone, etc.. Thank you for contacting us. We will get back to you as soon as possible to confirm your testing.